Dragon Boat Festival is a common festival in China and Taiwan and it is celebrated with great enthusiasm. Dragon boat festival is celebrated in memory of the patriotic poet- Qu Yuan. Qu Yuan was the famous poet and minister who served to the Zhou minister. He was dismissed due to certain misunderstanding and was sent to exile. During this day people enjoy dragon boat race, eat Zhongzi, Hang portraits of traditional mythical figures like Calamus and Zhong Kui to keep evil away. The boat race is held in cities such as Yilan, Hsinchu, and Taipei. Apart from portraits people also hang bouquets and Banyan twigs on the entrance of their home. 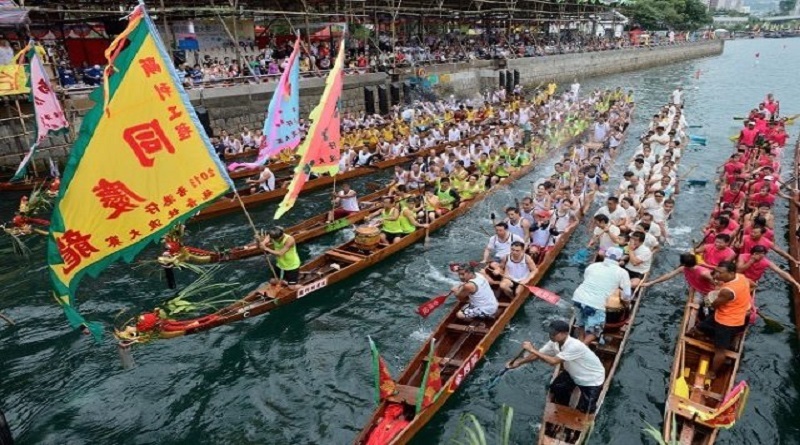 Dragon boat races are held in various Taiwan cities such as Hsinchu, Tainan, Taipei, Yilan etc.